Owner and Operator of Warman Physiotherapy & Wellness. Often women who are having issues with these types of complaints are told that it is ‘something to live with’. Our treatment programs are individualized and in a majority of cases symptoms of leakage and pain can be reduced and eliminated! This is an area that our Massage and Physiotherapists both focus in. Warman Physiotherapy & Wellness also runs an Exercise Group for women who are pregnant and post-partum. 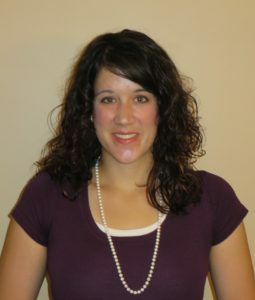 Our Physiotherapist that focuses in this area of practice is Haylie Lashta. 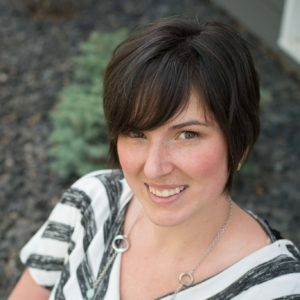 She has worked extensively in this population since beginning practice, and brought her expertise to Warman in 2012. She has been trained in Rost Therapy, which is focused on sacroiliac joint (SIJ) dysfunction and pelvic girdle pain. This particular therapy often is able to help make significant improvements in pain in short periods of time and includes exercises and stretches that can be completed at home to continue progress. Haylie is one of only a handful of therapists in Saskatchewan that have completed the Rost course. Our multidisciplinary approach to all populations means our clients are often referred from physiotherapy to massage and vice versa to obtain the best results for the client in the shortest possible time frame. It is often recommended that if you are experiencing pain, to begin with a physiotherapy assessment; this will allow for the physiotherapist and massage therapist to coordinate treatment based on the underlying factor creating the pain and discomfort. These are injuries that are obtained at a higher competitive level. Sports injuries can occur at a number of age ranges from childhood into senior years. Often these injuries are more specific and you feel the injury occur at a particular time (not always the case!). Sports injuries can also be found in any area of the body from the head to the foot. It is important to note that concussions are injuries often obtained during sports that have been shown to improve with Physiotherapy treatment and proper return to sport. As a former Huskie athlete, our Physiotherapist Shannon Domres has first-hand experience of the demands of sport. 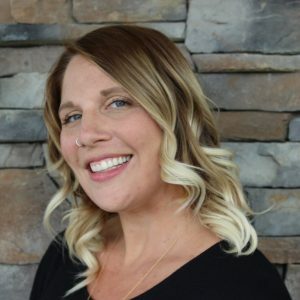 Shannon is driven to help athletes prevent injuries through education, in addition to assisting athletes with rehabilitation through comprehensive and complete assessment and treatment assisting athletes get back to their sport. Our Massage Therapists are capable of providing therapeutic sports massage for any athlete including assisting in addressing tight muscles, muscle imbalances, and fascial restrictions often found within athletes. Focused massage throughout the year can be beneficial in assisting athletes prevent injuries, particularly when the athlete has completed a physiotherapy assessment allowing the therapists to work together to target problem areas. Do YOU or someone you know have back pain or sciatica? Tired of ignoring the pain, and it keeping you from having fun and enjoying life? If this is you – even just one of these statements – you will want to register TODAY! Pain with ROLLING, or WALKING up/down stairs? Difficulty getting up into standing? How about pain with getting dressed or moving your legs when you are lying in bed? Hip pain when you’er laying on your side? SO MANY ACHES AND PAINS! If this sounds like you or someone you know, this workshop is aimed to provide information to the public about pregnancy-related pain and how physiotherapy can help. Being pregnant does not mean you ‘must’ be painful! This workshop is open to anyone that is pregnant or wishing to learn more about pregnancy, and how physiotherapy can help during pregnancy, and for labour and delivery prep. Husbands, partners, parents and other family members and friends are also welcome to attend! Join Physiotherapist Haylie Lashta as she goes through some of the MAJOR CAUSES of shoulder pain INCLUDING Rotator cuff strain! * Do you have pain reaching up into a cupboard? * Have difficulty washing or brushing your hair due to pain? * Are you finding pouring coffee or milk problematic? * Having a heck of a time reaching into the back seat of the car, or putting on a jacket? * Do you have pain or difficulty opening doors or shaking someone’s hand? Have shoulder pain that is new and nagging? Maybe an old ache that just won’t go away. You don’t have to wait for the workshop – schedule an appointment with Kendra Usunier or Shannon Domres TODAY! Click HERE to book an appointment directly into the schedule! Menopause & Perimenopause can be one of the most trying times in a woman’s life. Many women experience many physiological, hormonal and mood changes during this time. Menopause-related symptoms such as hot flashes, night sweats, fatigue, insomnia, weight gain, agitation, anxiety, and body changes negatively impact the quality of life of women. This workshop will explore what is happening in the body during menopause, but more importantly focus on what you can do to develop an understanding of your body and your needs. Join Haylie in learning some basics from development and anatomy, to constipation and holding. Tricks for positively impacting potty learning, and managing issues in older children. Number of seats are limited. Infants welcome, recommended to find alternative arrangements for older children as able. Stay tuned for more information – be the first to know and sign-up for our newsletter! Join us for our FIRST Fundraising Fun Run to raise money for Light the Night – The Leukemia & Lymphoma Society annual fundraiser. People of all abilities and fitness levels are welcome to join us for the run, and we will be starting and finishing the run at the Co-op Warman Food Store where we are putting on a BBQ, again with all proceeds going to LLSC Light the Night! *Family friendly – bring the kids, strollers, and pets! *Avid runner – we are planning a staggered start! Not into running? We are also offering Yoga in the Park with Tracy Stephensen Yoga & Wellness at Linda Schaefer Park. Don’t like activity in general? No problem! We will be hosting a BBQ at Co-op starting at 11! Stop in and grab a burger and drink ($5) and you are still donating to a wonderful cause. Every donation counts. This event is a family friendly affair, so bring your strollers, kids, and significant others and join us in raising money for a worthy cause. *Please note if you are bringing pets we request they are well-behaved and picked up after, and participate in the 2km and 5km only. The Leukemia and Lymphoma Society is our chosen charity as it directly affects Haylie’s dad, Hank. Hank has had CLL (a slow progressing form of leukemia) since she was in primary school. He was able to receive a stem cell transplant from his brother Stephan in February 2012, which is the only reason why he is still here today. Hank was in remission for 4 years when his cancer returned. With the developments in treatment since his transplant, doctors say that he may never have needed a transplant if the medication he has now would have been available then. The progressions in treatment that we see is a direct correlation to fundraising activities. Funds go to research, supporting families, and of course, supporting those with these diseases through treatment. We walk with Hank, as a survivor, as a patient, as a supporter, every year. Join us!